What a difference a year makes. 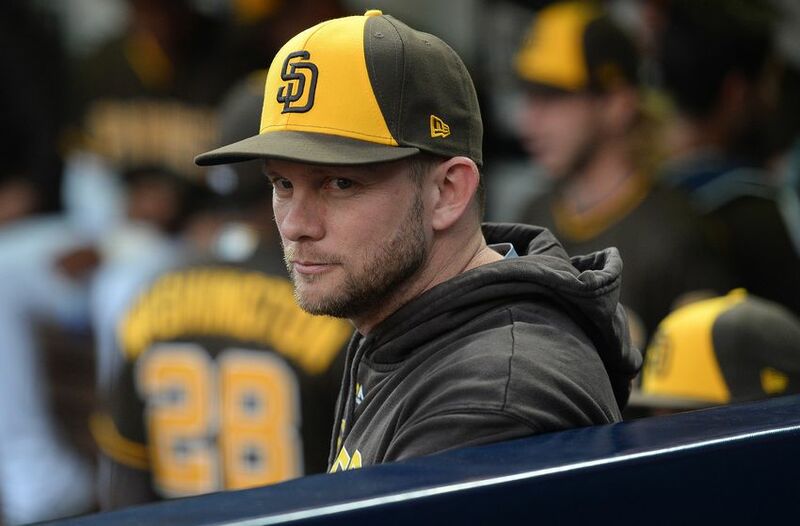 The San Diego Padres are building momentum to be viable players in the National League fairly soon and manager Andy Green has a quiet optimism about his young team heading into the 2019 season. 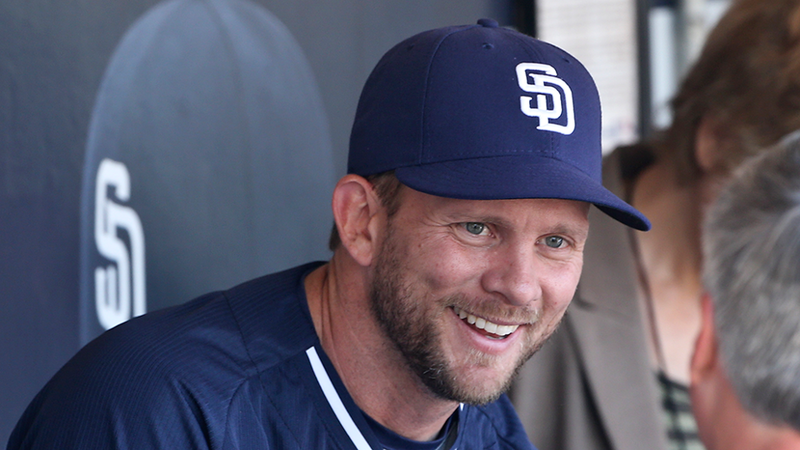 These days, San Diego Padres’ manager Andy Green has a little bit more pep to his step. The usually stoic manager has been more jovial in Peoria this year. Attendees to spring camp have even witnessed a smile or two from the Padres leader as he speaks about his club. “We are really excited about the veterans and the leaders we have in the clubhouse now. It takes a tremendous load off of the coaching staff,” Green said. Specifically, there are several players who have helped flip the switch with the mentality for the team. “Eric Hosmer, Ian Kinsler, and Manny in here now- Craig Stammen has ownership over that pitching staff. They are guys we trust as human beings and as players. It puts the coaching staff in a much better place,” said Green. The coaching staff may now concentrate on doing their jobs and not solely be responsible for molding these young men. Having veterans takes pressure off Green and that is a good thing. In speaking about the pressures of this team that looks ready to compete soon in the NL. “There is optimism all around,” said Green. He will not concede to the pressures of the game but he does feel way more confident in the group of players around him. “You bring guys in that go about their day the way you want young guys to go about their day,” said Green. There are plenty of examples for the young players to witness. They must show the initiative though. Ian Kinsler was a seemingly strange addition to the team being that Luis Urias looks to be major league ready. We spoke about the addition of Kinsler and what he has done for the team since his arrival. “He’s been outstanding in camp early by simply showing the guys what it looks like to go hard every day. On ground balls, on running- he gets after it. The guys see that, and they feed off of it. If that’s the model they have, they follow that model,” said Green. Kinsler does play hard. Witnessing several at-bats last week in the backfields of Peoria assured me of that fact. He only has one speed and that is all out. The Rapsodo machines and Edgertronic cameras have been spotted in Peoria and we spoke about them for a bit. “We are just trying to be sure we have everything to help our pitchers,” said Green. He enjoys having every angle covered for his players. If they can make use of the technology, then more power to them. This Padres team is getting close to being very competitive in the National League. What will it take for this club to jump into that proverbial next level? “How quickly we can accelerate the growth of our young pitchers. We will have a lot of them around the clubhouse this year. We have a more established position-player core at this point in time. The pitcher’s growth track will be paramount to our success this season,” said Green. He sees the promise land but does realize that the pitchers must continue to grow and develop. The A.J. Preller speech happened early in camp. Several players communicated what the speech meant to them. I was curious about what Green had to say about the event. “He (Preller) did a great job of giving guys clarity of what is important to him. He also essentiated the strengths of the group and to hear it from him was great for all of us. Hearing his passion and command of what he knows helps a team win a baseball game. It was welcomed by everyone in that clubhouse. I think it gave a lot of us extra motivation to get on the field that day,” said Green. Motivation seems to be the keyword everyone uses when describing the speech. When you provide a family environment to a major league team, only great things can happen. Thank you for the behind the scenes look. 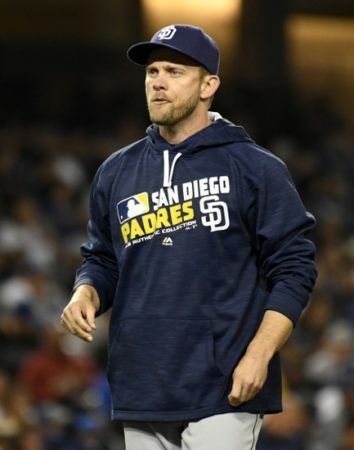 Am I the only person surprised that Andy Green even knows the word “essentiated” ? The over/under on how many big league players/managers (780 in total) know that word has got to be in single digits. Left me wondering what Green’s major was at Kentucky.